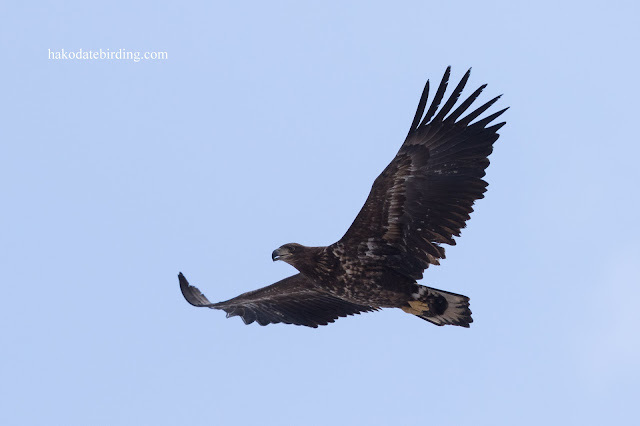 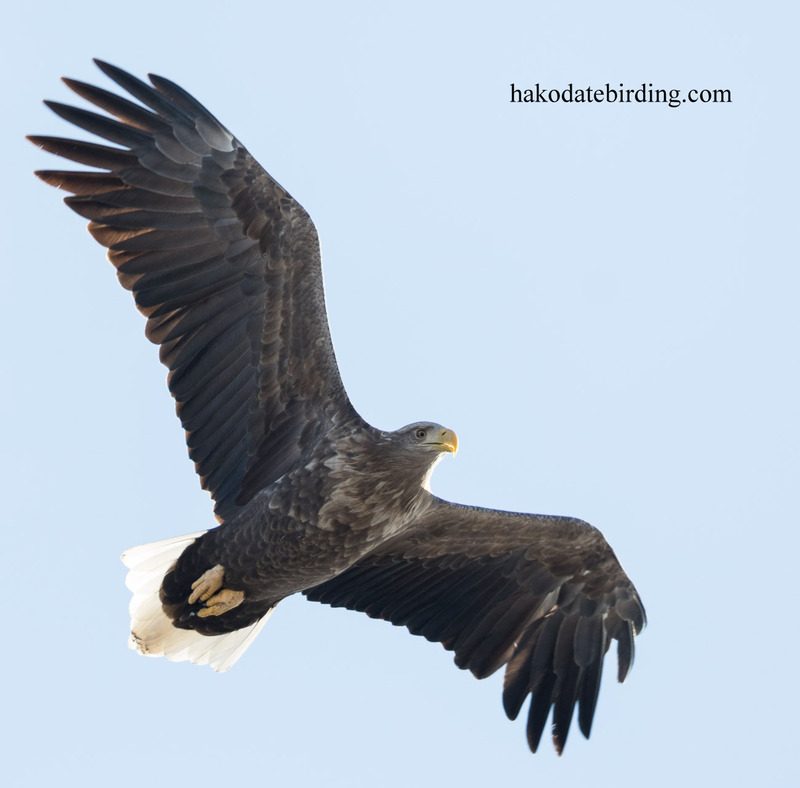 There were a lot of eagles in Yakumo but after some early sunshine the sky darkened. 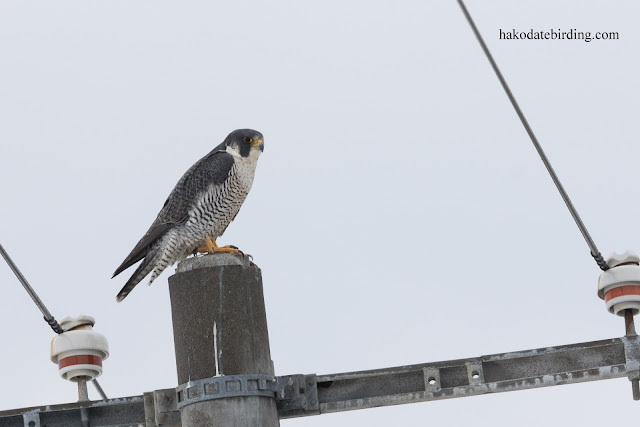 They are still wary as there is plenty of food for them and they are not yet forced to choose between hunger and shyness. 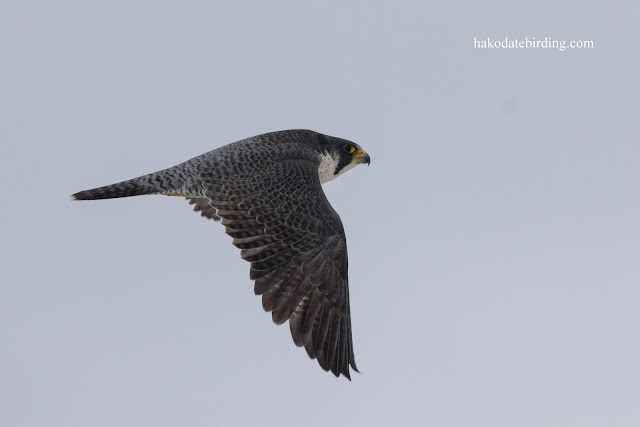 Several times I saw them in the river feeding on salmon but each time they flew off before I could even raise my camera. So it was BIFness as usual. 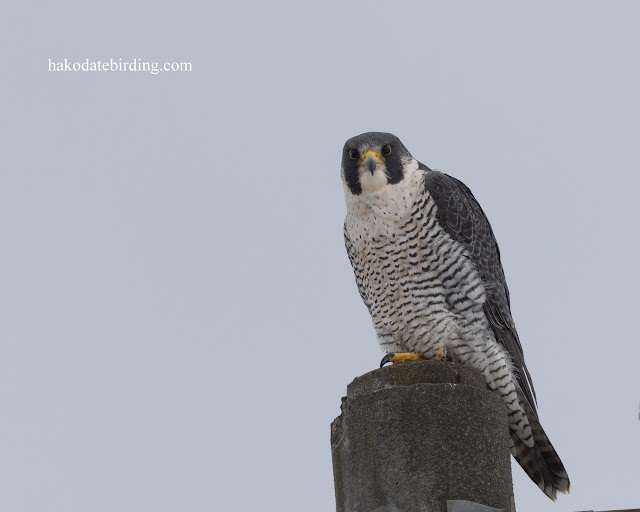 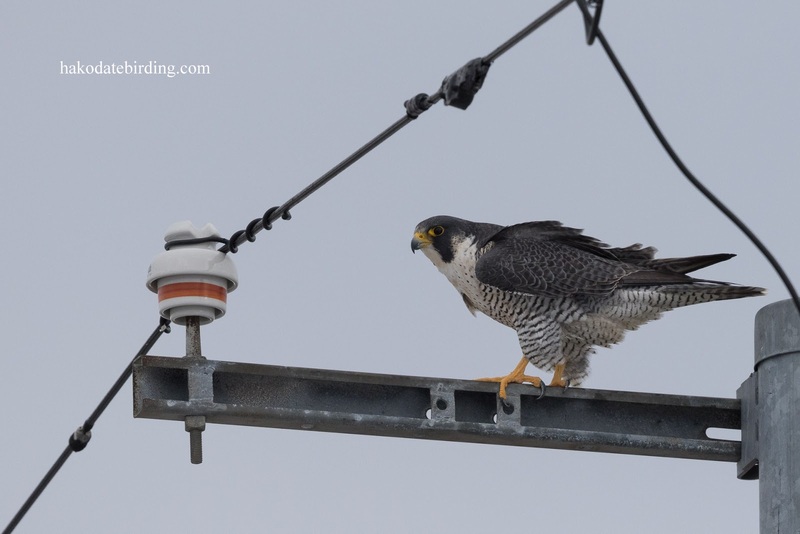 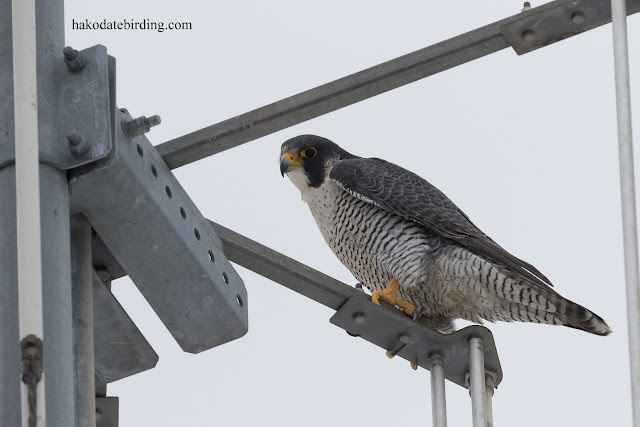 Oshamanbe was pretty birdless except for this Peregrine sitting atop some telegraph poles. Not much else around, it snowed a lot in Hakodate last night but not so much futher north, it's not so wintry yet. 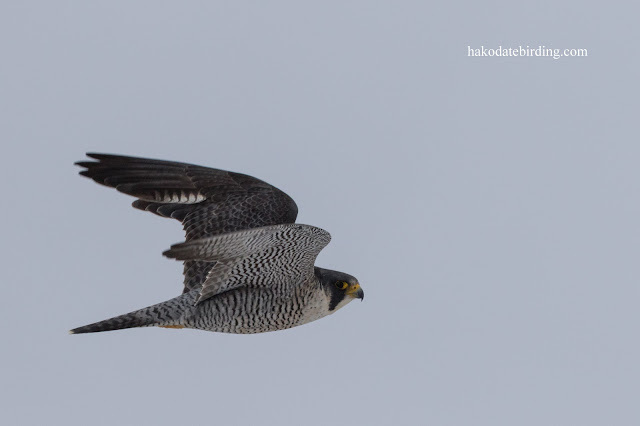 I really like the BIF shots especially the Peregrine. Don't know how fast it was moving but you got it. 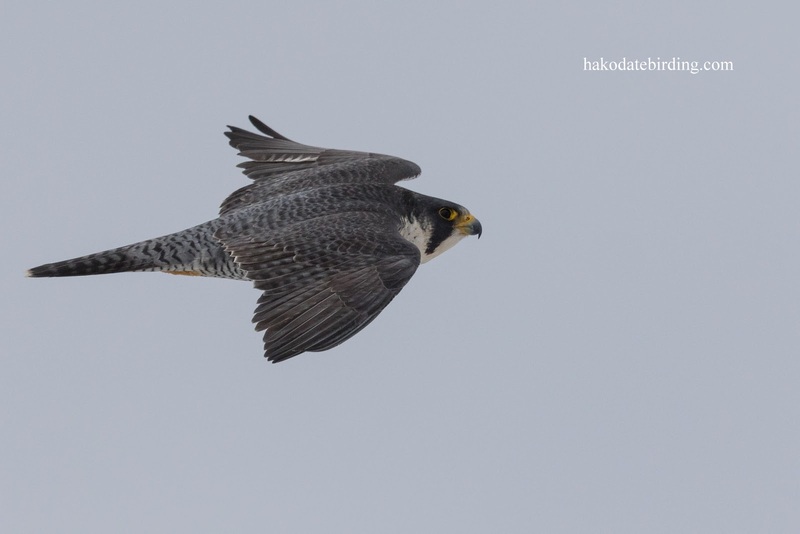 Great raptor shots. 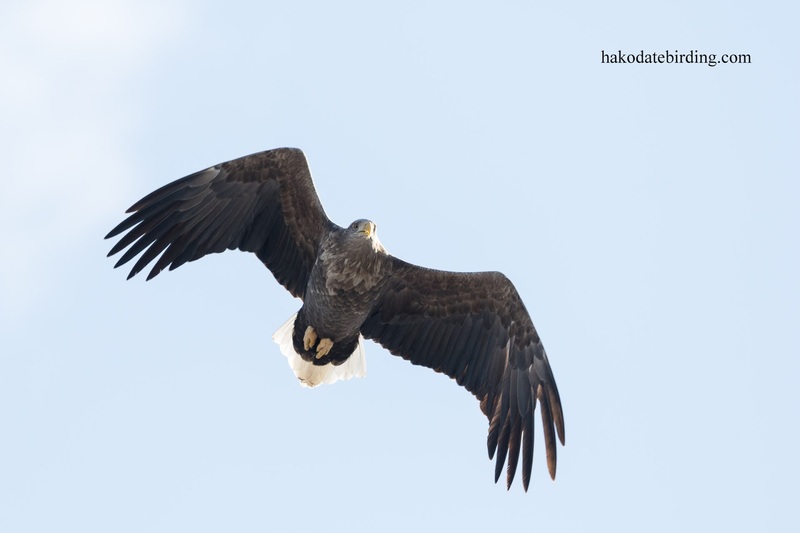 I think that for most birders those magnificent Eagles define Japan in winter. 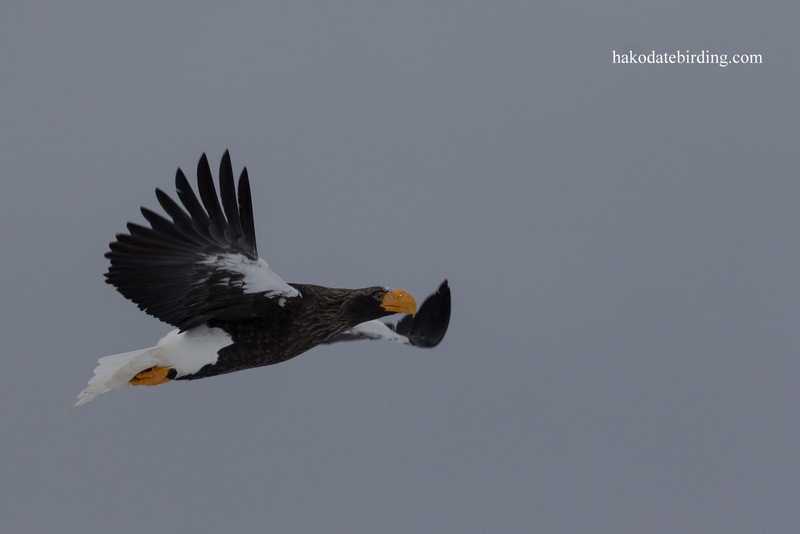 Definitely true in Hokkaido.............I'm really lucky to have them so close by. 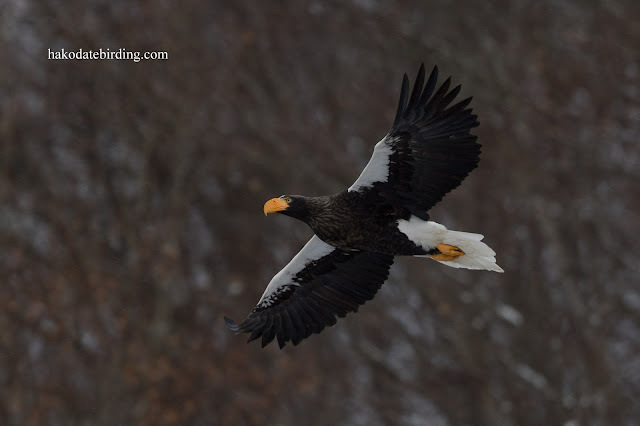 Thanks for the comment Margaret.